San Antonio, Texas, is a major tourist attraction of the state. It is a pretty big city, with a population of 1.3 million, but is sprawled out. It has a strong military presence, as well as many historical attractions. The city is fun for dogs as well. If you and your dog like history, this is a good place to walk around. 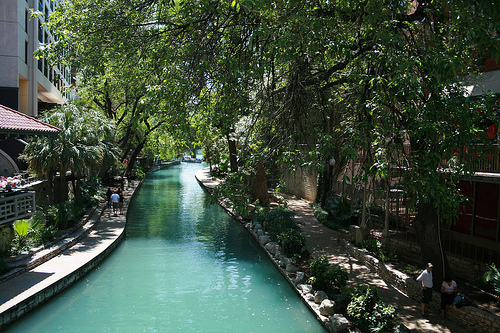 It was the original settlement of Old San Antonio, located in the south bank of the river. It started out as a primitive hut settlement for Spanish soldiers. Today, it is a vibrant artsy area full of Victorian and Adobe buildings, where you can do historic walks and window shop. This is the second biggest tourist attraction in Texas, after the Alamo (dogs can’t go in the Alamo). Your leashed dog can join you for this journey. It is a two mile walkway along the river, and you can people watch at the many restaurants on its premises. This park has scenic trails that connect many of the old mission sites. Dogs are allowed to walk around with you on leash, but cannot go in any of the buildings or actual sites of the remanents. Dogs are forbidden from the Yanaguana Nature Trail at the Mission San Juan. This park is located on Brauing Lake, which sprawls for 1,350 acres. Many people come here to fish and boat, as well as camp, picnic and bird watch. Swimming is forbidden in the lake. There is a small fee to visit this park, but dogs may join you on leash. 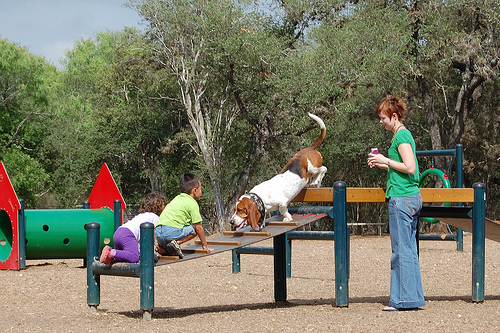 This park has five miles of trails to hike with your leashed dog, as well as a picnic area and a playground. This is an off-leash dog park, which is fenced-in and has 1.5 acres of land. 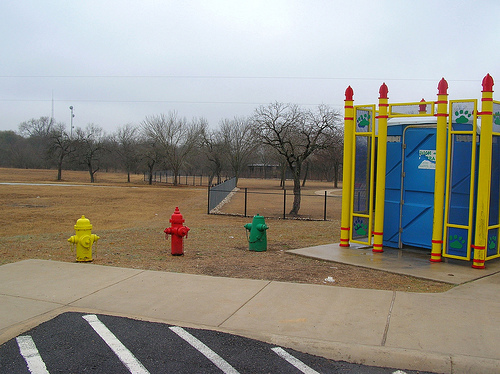 There is also exercise equipment, a picnic area with shade, benches, and a walking trail. Dogs must be up-to-date with all vaccinations and license. This off-leash, fenced dog park is also 1.5 acres in size. There are picnic tables and playing equipment, as well as trash cans. This pizza restaurant sometimes has music playing. Leashed dogs are allowed at the outer tables. This Italian restaurant is located on the San Antonio River Walk. Leashed dogs are allowed at the outer tables. Indoors, they have jazz and live belly dancing!